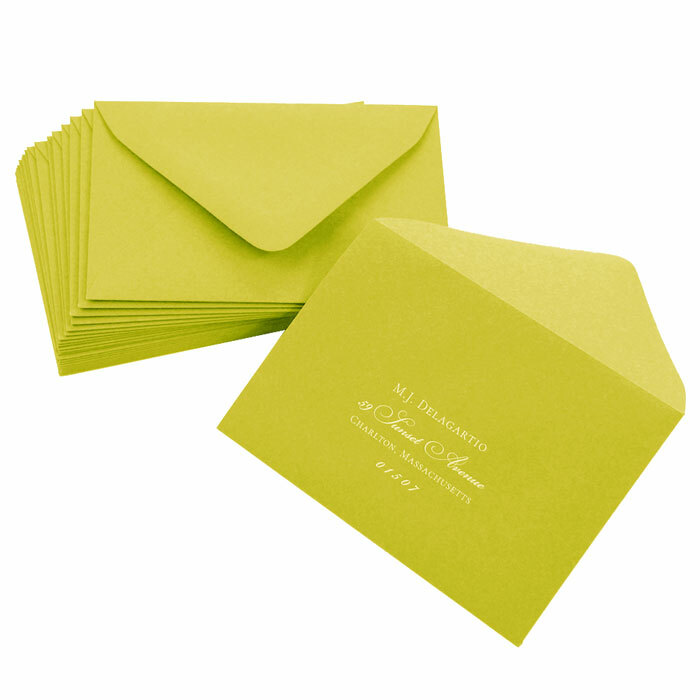 A7.5 Euroflap envelopes in Colors Matt Chardonnay (84) measure 5.5 x 7.5 & have a deep flap. Paper is rich to the feel and made using thick 81lb text (120GSM) paper stock. Simply elegant. Order envelopes blank or custom printed by LCI Paper.